Kate comes home from college to find her dad's auto repair shop in financial trouble. But she's not going to let the family business go down without a fight! Prepare for a variety of challenges in six exciting locations; over 10 kinds of cars, several different workshops, and many hidden surprises! Can you rebuild the family's auto repair business? Expand the franchise from arid Nevada to glamorous Hollywood. Surf the Pacific Ocean and watch Kate's unexpected love story unfold. 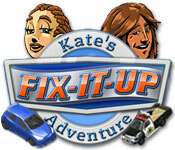 Fix-it-up: Kate's Adventure is rated 4.3 out of 5 by 11. Rated 5 out of 5 by gianaruth99 from Very addicting I love this series of games, wish each one had more levels. Looking for more games like this. Took me over 200 tries to complete the helipad level. Was so frustrating, and challenging. Just like a great game should be. Rated 5 out of 5 by EskolaMomma from Awesome game Not the most complicated of games; but the free one hour trial went by soo fast. Really enjoyed it. Rated 5 out of 5 by Cheri_BDG from Addicting! I could not help but want to keep buying, fixing, and selling cars! Before I knew it my demo was fast running out, and I knew I had to get this game! You start with a garage and parking lot, renting out cars in your lot, and fixing up cars, keeping them clean to rent or sell, or improving them through body work and other upgrades. People drive by with cars to sell in various conditions. You don't have to worry too much about the prices, as you can resell a car for the same price you bought it for, or improve it to sell it for more. The price is fixed based on the condition, so you don't have to pay too much attention to the actual price, and can be assured you'll make money by improving the cars and reselling or renting them out. The story is quick and enjoyable...you really want to see Kate succeed! Rated 5 out of 5 by Marcum from Some fixed fun You have to enjoy this game from the start to finish. 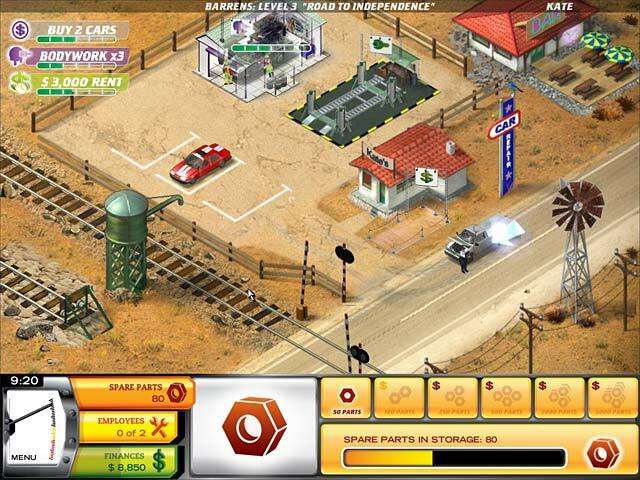 Best part is once you beat this one, the story goes on in another fix-it-up game. A very well balanced time manage game series. Rated 5 out of 5 by Pucktweety from Fantastic! The only 'Fix-it up' game I've played which is a shame because I really enjoyed this one!! (Must get buying the rest) It's rather unique in the fact you own a repair shop and you have to repair and upgrade cars - and the goals are fun because not only do you need to make money but sometimes it is necessary to keep certain cars etc etc. I found the harder levels to be nearly impossible plus the extra levels which you need to make an extra item, like a helicopter are near impossible. Loads of fun though with some great graphics and an interesting enough story! 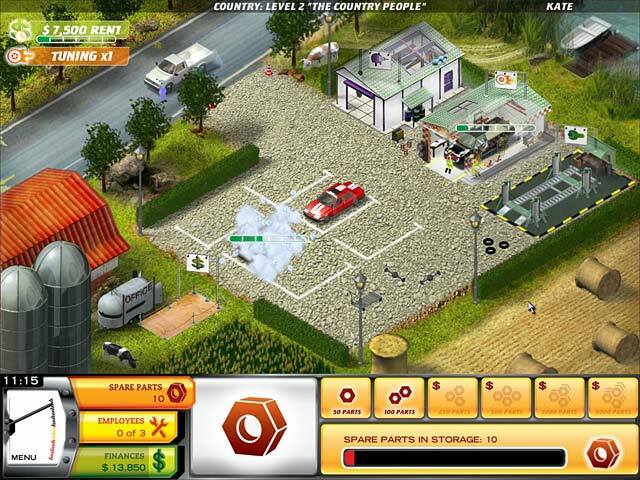 Rated 5 out of 5 by RainyDayzGrrl from Want to run your own auto shop? I loved this game. I had a hard time turning down cheap vehicles that I could flip the upgrades and sell for so much more! The challenges were fun and great and there's always a level or two that frustrates you a little, but it's never so bad that you aren't going to finish the game. Just take a break and come back to it. I don't always listen to the game music, so you can decide if you want the game or your music on. I always wonder what the people do after dropping their vehicle off on the side of the road ... maybe they take the bus or maybe they're waiting around to buy a better car from you? Rated 5 out of 5 by brookings from Fun Game This game Kate is getting started and it takes you to the garages where she fixes up cars and trucks. Her World Tour is even better. Rated 4 out of 5 by nr84 from Good but a bit annoying I'm not usually into Time Management games but this one is pretty good. For some reason it keeps freezing though - just temporarily glitching, but it happens a lot - making it very frustrating. My computer exceeds the spec for the game so I don't know what the problem is. The other thing I find annoying is the characters that keep popping up to "talk to you". Sometimes they're adding in extra challenges but really all the story stuff is unnecessary. Sometimes they block the screen. But it's a challenging game that I'm enjoying. I'm hoping to uncover a sandbox but I'm not hopeful! Rated 3 out of 5 by mrm2006 from Are You the Salesman of the Year. Little did I know what I was getting myself into playing this game. There's a reason God gave us sons - to work on our cars - LOL. This is a game all about buying wrecks, fixing them up, cleaning them up, selling them and getting rent monies. Unfortunately, I know NOTHING about this and set myself up for failure trying to play. Oh, I completed the levels with great success - just don't know how I did it - lol. 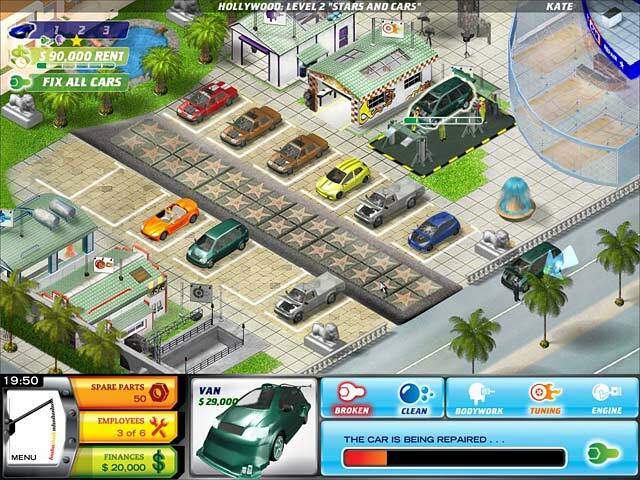 This is definitely a game for car enthusiasts, mechanics or if you just want the thrill of figuring this game out. Good luck. Happy Gaming!